Near 1938, Ducati need new adding machines for his own administration. Considering political scenario and the lack of similar italian products, they decided to build a new machine themself. Result was positive and industrial production begun. 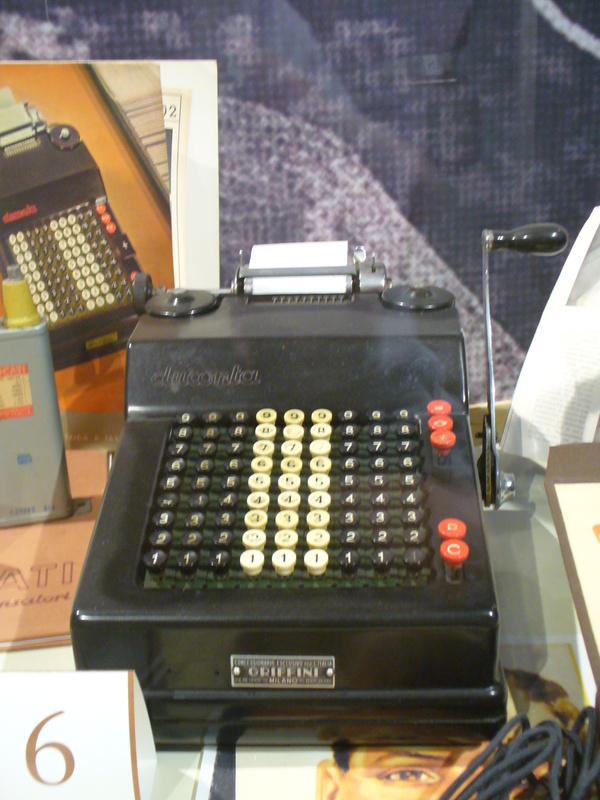 Duconta LC-2302 was the first printing adding machine electrically driven produced in Italy. Alfa was not electrical. Exclusive reseller was the Organizzazione Commerciale Griffini - Milano. Production ended suddently when Ducati factories were bombed and razed to the ground in 1944. Besonderheiten....: direct subtraction, carriage can be changed without using any tool. Diese Seite wurde bisher 6764 mal abgerufen. Diese Seite wurde zuletzt geändert um 22:01, 9. Feb 2015.